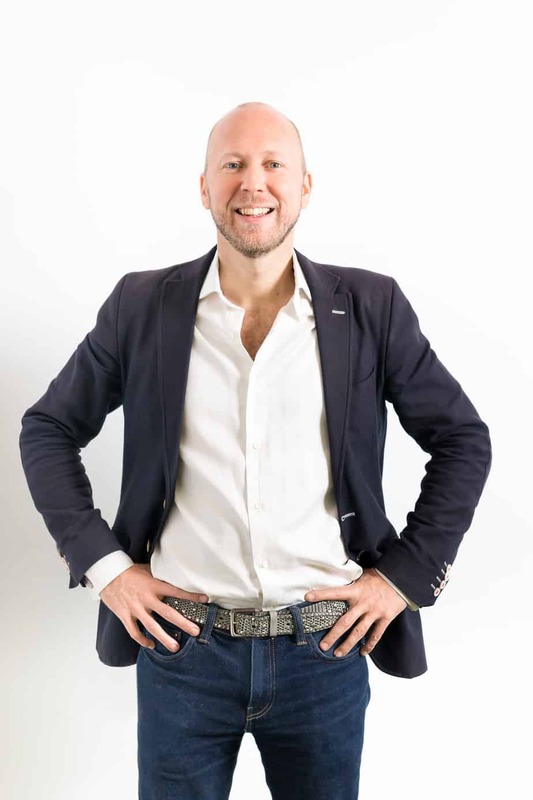 Magnus Jern is Founder/co-founder of 6 companies including Golden Gekko, NCOMVa, Driftbolaget, GeoMe, Lechill Mobile and Tapp Water with 3 successful exits. Pioneer and thought leader in mobile apps, clean water technology, innovation and human centric design. Currently chairman of TAPP Water, advisor to DMI, startup investor and non-executive board member. When I was in high school my idols were great entrepreneurs such as Bill Gates and hardline CEOs like Jack Welch. I wanted to become the CEO of a big company and measured success in the number of employees and total revenue. I studied computer science at University in Sweden right before the dotcom boom started. My first job at age 22 was for a web agency in 1997 that grew from 70 people to 3000+ people in 3 years. I grew with the company starting as an IT admin, 6 months later promoted to account manager and 1 year later head of sales & marketing for a subsidiary. Without much job experience I was hiring and managing 20 people and pitching to C-level execs at big companies. In this role I was learning everything by doing and from colleagues that were about as inexperienced as me. This meant making a lot of mistakes along the way which turned out very expensive for the company but that’s another story. I realized that this was not going to take me where I wanted to go. To become a CEO of a big company I needed to work for other big companies and learn from experienced colleagues. Therefore I joined another part of the web agency and became a mobile consultant. My first big task was helping the mobile operator Orange launch a portal in Denmark and Sweden with a target of generating hundreds of millions in revenue. I was now interacting with managers in an organization of 10,000+ employees, complex processes and steering committees and big budgets. Every day was a new learning experience. It was amazing. When the CMO of Orange Scandinavia left to join Vodafone Group he asked me to come with him. This was an even bigger opportunity for me as Vodafone was big, fast growing and extremely profitable. Initially I was asked to move to Germany but with the opportunity to later relocate to London. My new role was Senior Product Manager and I was involved in coordinating release management in a billion euro project across 20 countries. It was a challenging task with much travel, long working hours and weekend work. At some point a colleague asked me why I seldom smiled. My answer? I didn’t have time. After 2 years I was promoted again as head of portfolio management which essentially meant coordinating which products should be prioritized, roadmap planning and strategy. I had the opportunity to present to the CMO of what was then a €32 billion company. One of the greatest things was the support from HR in terms of hiring, personal development and training but also my amazing colleagues in marketing, product development, IT and finance. I had the opportunity to work with some of the brightest and most creative people I’ve ever met and I still have the privilege of counting many of them as my friends. The downside of working in a big company was the politics, slow decision making, processes and waterfall delivery methods. Launching a new product took at least 18 months from idea to first release. More importantly however, I realized that working my way up to the top in a big company was not how I wanted to spend the next 20 years. So I quit in 2007 and started one of Europe’s first mobile app development companies, Golden Gekko together with a couple of friends. Our objective was to bring mobile apps to the masses starting with Java phones. Coincidentally the iPhone was launched that year and the appstore the following year. This meant that we rapidly grew the company to 150 people and €10m+ in revenue and the business was acquired by DMI (http://dminc.com) in 2013. The company has a lot of job openings around the globe for anyone interested. The 10 years with Golden Gekko and DMI have been the best in my life so far. I worked with amazing people, customer and products and services that I was passionate about. Many of my friends commented on the fact that I was now always smiling. I had found my passion in life. But eventually it was time to leave and move on. I reached out to a couple of headhunters and was offered jobs as CEO for bigger and more successful startups. After some consideration I turned them down. The most important thing for me was to continue to do things that I am passionate about. And this is what I’m doing. My latest venture is TAPP Water (http://tappwater.com) with the objective of reducing plastic waste on our planet. Our vision is to eliminate 10 billion bottles of plastic by 2023 and thereby create a billion euro business.